What is the repair or upgrade of the iphone 6 firmware? First you need to deal with the very concept of firmware. This term refers to the firmware of the device. In other words, firmware is an operating system. In the case of the iPhone 6 and other models of this phone we are talking about iOS. In addition, this operating system is used in other products manufactured by Apple. For example, in the iPod Touch players and tablet computers the iPad also uses the iOS - iPhone Operation System. The process of flashing a smartphone can consist of one of two operations: either restoring or updating an iOS. For clarity, many users and specialists use the term flashing, which combines both procedures in their names. 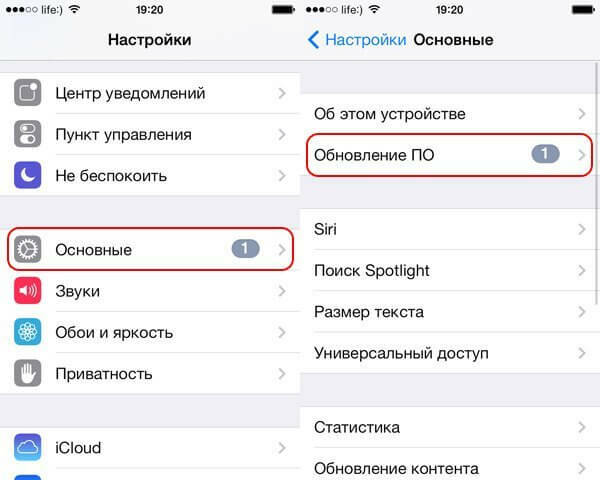 At the moment there are two options for flashing the iPhone 6. This is firmware repair or update. In essence, both of these procedures represent the same process with the same final result. 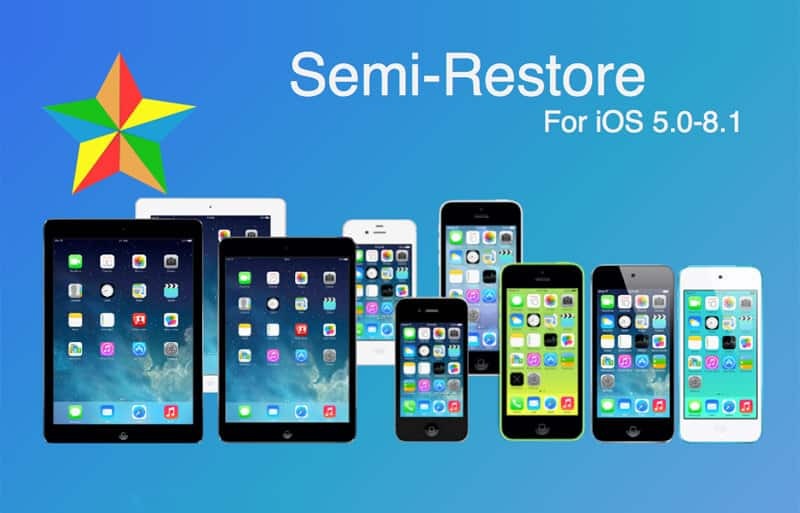 Both in the recovery situation and when iOS is updated, the user receives a device with clean firmware on the output. True, we are not talking about installing iOS necessarily the latest version, but rather about its condition. 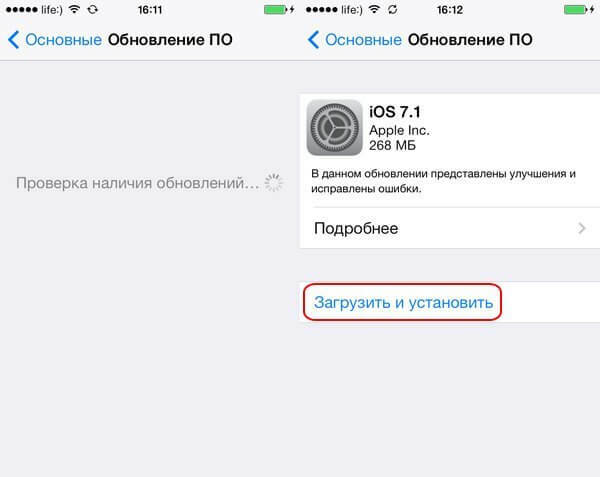 Pre-inserting iPhone 6 firmware can be done in two ways. 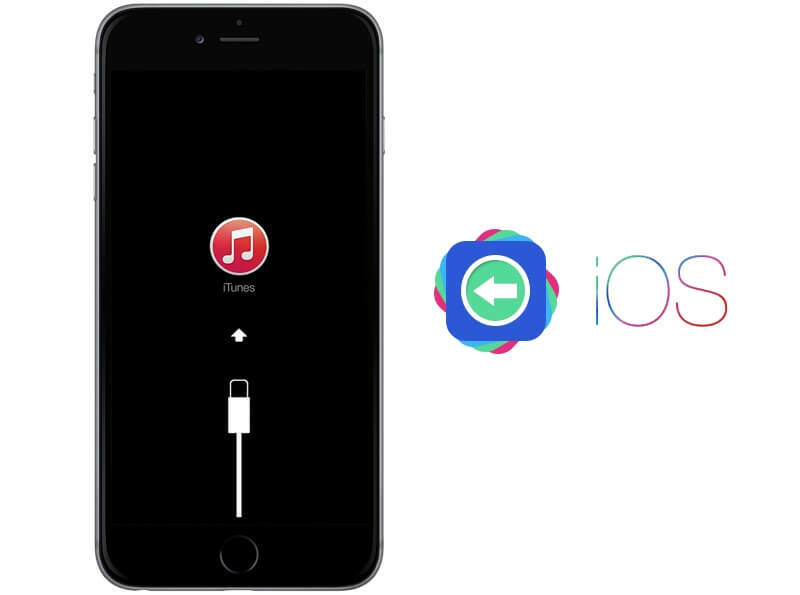 In this case, the first one method is a universal option that is suitable for both recovery and iOS updates. The second version of the flashing can be used only when updating the operating system. So, share the firmware of the iPhone 6 through iTunes utilities and update using Wi-Fi connection. In the first version, you need to download the required iOS version to a personal computer or laptop, and then install Apple’s firmware on your phone using Apple’s proprietary Apple iTunes application. This method is suitable for iOS up to and including version 4.3.5. For a newer firmware, you can use the second method, namely, updating iOS using the Internet and a Wi-Fi wireless connection. Differences of iPhone recovery from update? Both the recovery and the update of the iPhone 6 are operations with the built-in software of the smartphone. In the first version, all data will be deleted from the phone, including photos, videos, phone book contacts, audio files, calendar information, and the like. In addition, the device settings will be dropped to the factory default settings. Roughly speaking, restoring an iPhone 6 is bringing the phone into a state in which it was after being released from the conveyor. But, at the same time, after the recovery, the device will have the latest pure iOS version. During the upgrade of the iPhone 6, the transition to a newer embedded software takes place. At the same time, the contents of the phone, personal information and user-defined settings will remain on the device, and iOS will be updated to the latest current edition. Summing up this part of the material, it can be noted that there is one fundamental difference between restoring and updating iOS - in the first case all data from the phone is deleted, and in the second it remains. Users of Apple products already know that the iPhone 6, like other iOS devices, can be located and function in several modes. These include Normal Mode, Recovery Mode or Recovery Mode, and Firmware Update Mode or DFU Mode. To restore or update your iPhone, you can use any of the three named modes of operation. 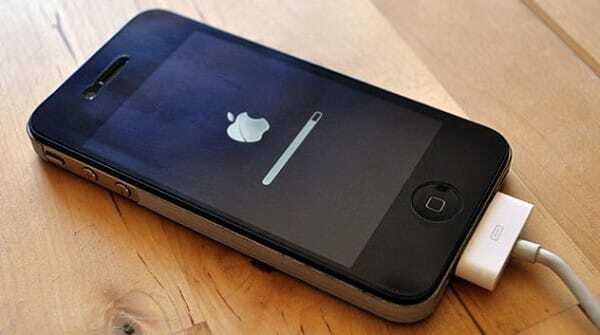 How to restore iPhone via iTunes? To restore iPhone 6 using iTunes, you need to download and install the latest version of the application on your PC or laptop and download the file with the iOS operating system of the version used on the phone to your computer. The second condition is optional, but will save time in the process of restoring the iPhone 6. After installing the latest version of iTunes, you must turn off the “Find iPhone” option on your phone if it is activated. After that, you should connect the phone to the computer using a USB cable and launch the iTunes application. Now you need to click on the icon with the name of the iOS device in the upper right corner of the program window, which will allow you to be on the tab of the synchronization of the phone and iTunes. Then you need to click on the “Restore” caption and specify the path to the firmware file in the window that appears. It will be by the way to emphasize that you need to click on the “Restore” while holding down the “Shift” key on the keyboard. This is true for computers running Windows. Mac users need to press and hold the Alt key. 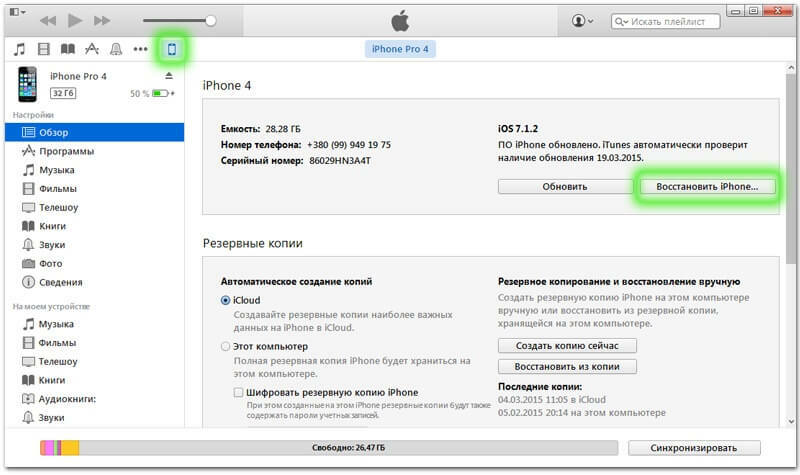 Now you need to select the iPhone 6 firmware file with the extension “.ipsw” located on the hard disk of the computer. Then click "Open" and give an affirmative answer to the system request to restore the iPhone. iTunes will begin the recovery process, erase all data from the phone’s memory and download the new firmware to the device. At the same time, the 6 iPhone will be forced into the “Recovery Mode” mode, and the phone status will return to the factory settings. It will be incidentally to say that it is not necessary to preload a file with the correct version of iOS onto a computer. This process can be entirely trusted to the iTunes application. However, in this case, the phone will install the latest existing version of iOS, even if it does not match the one that was already on the iPhone 6. Otherwise, the procedure will have the same results as with the recovery method described above, that is, the device will be cleared of the user's files and personal data. How to recover iPhone from Recovery Mode and DFU Mode? The process of flashing the iPhone 6 from the “Recovery Mode” or DFU mode is absolutely similar, if you do not take into account the need to transfer the phone specifically to one of these two states. After switching to the required mode, you need to connect the phone to the computer using a USB cable and open the iTunes utility. The application will detect the iPhone 6 in recovery mode. After that, click on the screen on the words “Restore”, while holding down the Shift key on the keyboard (Mac users should press and hold the Alt key). Now it only remains to set the path to the firmware file with the extension “.ipsw” on the local disk of the computer and click on “Open”. All the rest of iTunes will do the work itself, and the user will only have to wait for the procedure to complete. Can I reset the settings of the iPhone without updating the operating system? When it comes to restoring the iPhone 6 using iTunes, as a result of the procedure, the owner receives the phone with the latest edition of the iOS firmware. Thus, there is a full update of the embedded software, which is not always necessary for users of the device. For example, flashing a previously locked phone for a specific mobile phone operator will result in a loss of unlocking. The device will stop working with all SIM-cards. The exception will be the cards of a single operator, under which the iPhone 6 was initially blocked. The use of the SemiRestore application may help to avoid such results, but this will be discussed in detail in another article. As mentioned above, there are two ways to update the iPhone 6. The first of them is a procedure that is almost completely identical with the restoration of the phone. This process also uses the iTunes application. The second method is implemented via Internet connection via Wi-Fi without using a personal computer or laptop. To perform this operation, you need to connect your phone to your PC with a USB cable and open iTunes. Then, in the “Devices” menu, select your own 6 iPhone, and on the tab for synchronizing the phone with the utility, click on “Update”. Then you need to confirm the start of the operating system update procedure. In addition, to save time, you can pre-load a file with the required version of iOS on your computer’s local disk, and then hold down the Shift key on the keyboard while clicking on “Update”. For users of Mac operating systems, the “Alt + Refresh” combination will be relevant. After the procedure is completed, the iOS version will be updated to the required one, and all files, user personal information and settings will remain unchanged in the internal memory of the phone. Starting with iOS 5.0, the creators of Apple products have provided the ability to update the iPhone 6 operating system using an Internet connection via Wi-Fi without using a computer and iTunes. In the phones with such built-in software in the settings an additional option “Software Update” has appeared. In this case, firmware in this way is possible only if you have access to the Internet via Wi-Fi. So, to use this update option, you need to go to the phone settings. Then select the section "Basic", and there "Software Update". In conclusion, it is worth emphasizing that the use of the above-described methods of flashing the iPhone 6 operating system will make it possible to save a significant portion of time and money, saving the owners of Apple phones from constantly visiting service centers to repair their devices.